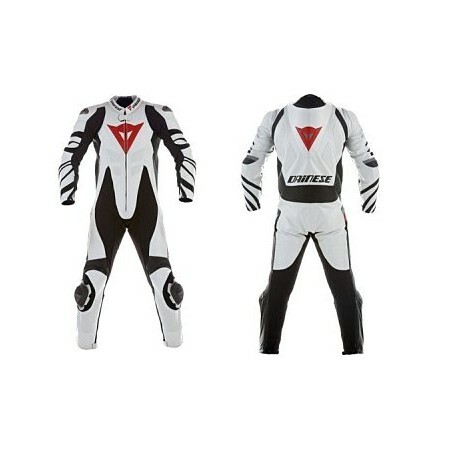 Encore une solde à ne pas manquer sur ce produit racing haut de gamme de la marque DAINESE ! 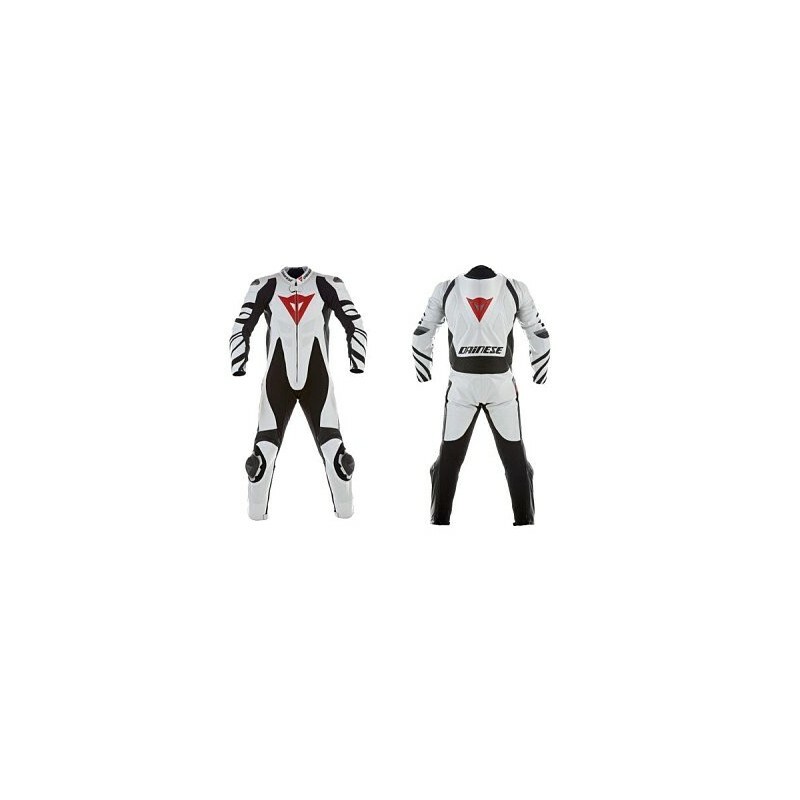 Interaction between the rider and the vehicle, the idea of speed and the flow of air have inspired this suit that develops the concept of inserts on the sleeves in split leather. The greatest comfort during riding is ensured by the light weight of kangaroo hide, while the perfect fit ensured by bi-axial elasticated inserts, elasticated inserts in S1 fabric, and the removable NanoFeel liner. Co-injected shoulders with titanium inserts, homologated composite protectors, and soft inserts offer top of the line protection. Prolonged performance on the racetrack is ensured by the pocket for the water bag and new interchangeable sliders.